If there’s one thing the new crop of saints who will be canonised this weekend would appear to have to say about holiness, it’s that being virtuous is something that everyone, religious and lay alike, can attain. Source: Crux. Widely known for their contributions to the global Church, El Salvador Archbishop Oscar Romero and Pope Paul VI are easily the most popular and prominent figures who will be declared saints on Sunday, when Pope Francis will canonise them alongside five less well-known, though no less significant, individuals. Taking place in the in the middle of the Synod of Bishops on Young People, Faith and Vocational Discernment, the new saints are being touted as key examples for youth in terms of discerning God’s will, accepting it, and then acting on it. Experts say these five new saints are prime examples of what the Synod is all about: living what the Church says is a universal call to holiness, at every state and stage in life. Since the beginning of his pontificate, Francis has made it a point to bring forward sainthood causes for more young people and laity, and individuals in both categories are increasingly seen on the list of causes the Pope is advancing. 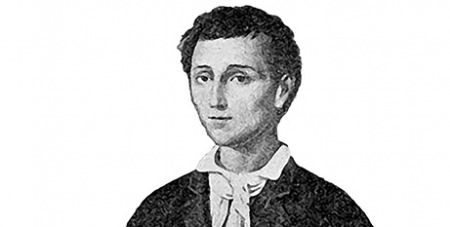 In this round of canonisations, Nunzio Sulprizio, who died from bone cancer in 1836 at the age of 19, is the token layman and is also the only young person to be recognised for his saintly life. The four other new saints are: Francesco Spinelli, a diocesan priest and founder of the Institute of the Adorers of the Blessed Sacrament; Vincenzo Romano, a diocesan priest from Torre de Greco in Italy; Maria Caterina Kasper, a German nun and founder of the Institute of the Poor Handmaids of Jesus Christ; and Nazaria Ignacia of St Theresa of Jesus, a Spanish founder of the Congregation of the Missionary Crusaders of the Church.